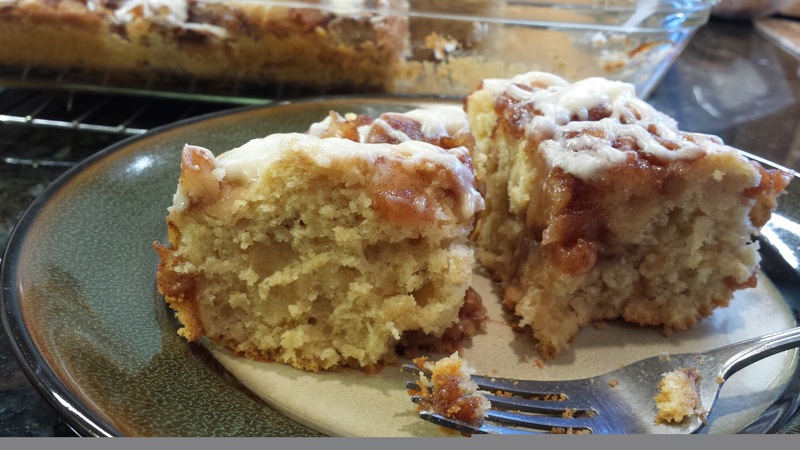 I've been making this Cinnamon Swirl Bake for a while now, and it's really good, but recently I've started adding apples to the cinnamon swirl part, and it's even better. I may never make it without apples again! Mix in the sugar, salt, eggs, and butter, then add the flour a cup at a time. Once mixed, cover the batter and allow to sit while you prepare the apple mixture. While the apple mixture cools, spread batter into greased 13x9" pan. It will be thick. In saucepan, melt butter with brown sugar and cinnamon; add apples and cook over medium heat until apples are starting to soften. Remove from heat. When apple mixture has cooled, spread evenly over batter and swirl it into and through the batter with a spatula. Cover and let sit for half an hour to an hour, then refrigerate overnight.. When ready to bake, remove pan from refrigerator and let sit at room temperature for a half hour or so. Then place in a COLD oven; set temperature to 350°F and bake 30-35 minutes, until lightly browned and firm in center. 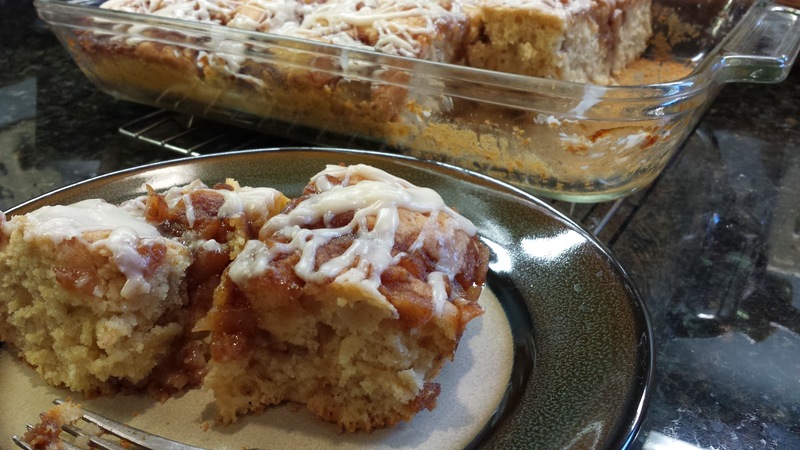 This is a really moist cake with pockets of cinnamon caramel apple goodness spread throughout. So good!